Please refer to the Firestorm release notes. 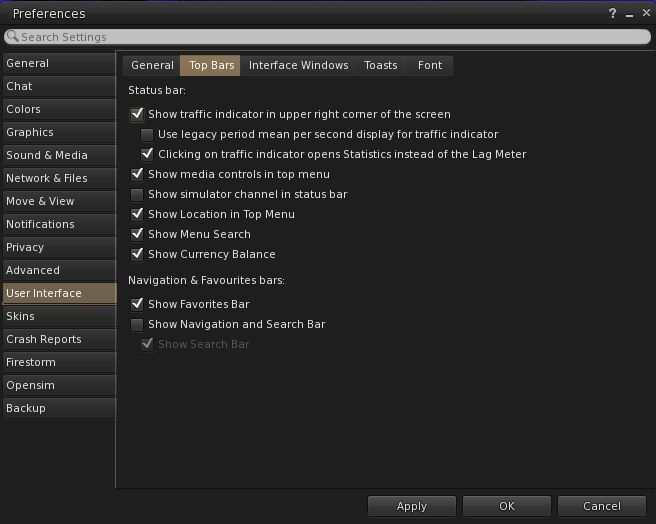 The Firestorm Preferences panel and tabs continue to be refined in release 4.7.3, with several options further re-factored, a number of options added, as well as numerous improvements and fixes being made. Firestorm 4.7.3 brings back the smaller snapshot preview panel, which now works with the larger, unified preview panel. Clicking the << button on the snapshot floater with the large preview panel open will cause it to close, and the smaller panel will be opened at the top of the floater. Clicking >> will close the smaller preview panel and open the larger. Firestorm 4.7.3 adds Chalice Yao’s Avatar shadows capability, as implemented in Marine Kelley’s Restrained Love Viewer. This capability attempts lighten the load placed on your GPU when rendering complex rigged meshes (such as avatar bodies) when running with shadows enabled in the viewer. I have a review of this capability, as seen in the Restrained Love Viewer. 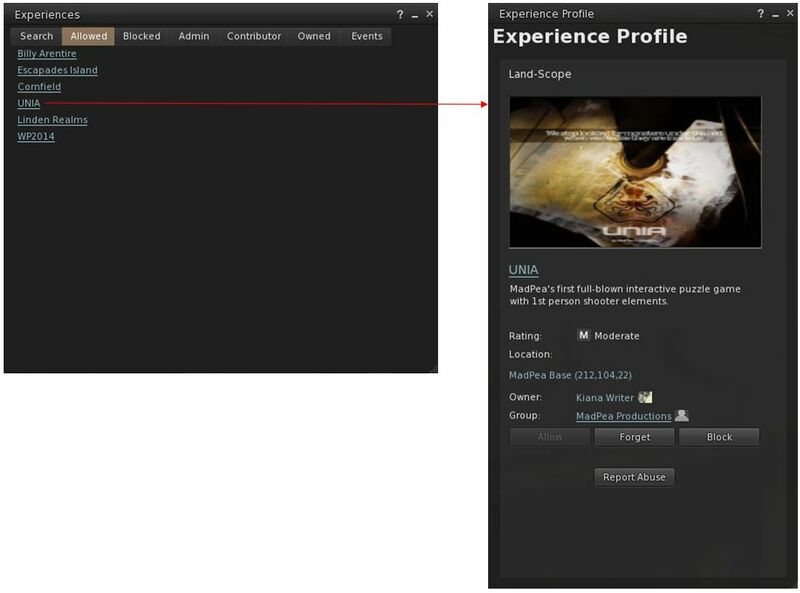 The main differences are Firestorm defines the settings descriptively, rather than as numerical values, and present them through both Preferences (Graphics > General > Avatar Shadows) and Phototools (Light > Avatar Shadows). 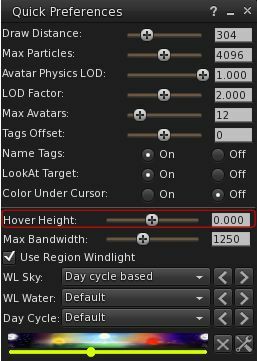 None – Avatar shadows are disabled with the exception of unrigged attachments, therefore offering the biggest potential boost in performance. Simplified – Fast performance. No rigged mesh shadows are cast. Avatars wearing mesh bodies will cast the system avatar shadow along with the shadows of unrigged attachments, rather than the rigged mesh body shadow. Optimized – Slower performance, but still faster than Complex. Avatar shadows are simplified to offer noticeable performance improvements when running in locations with a number of complex avatars. Complex – Legacy shadows. Like the LL viewer, slow performance with complex rigged attachments. Firestorm 4.7.3 has many tweaks and fixes to conversations, groups, which include but are not limited to the following. An option has been added to set group chat snooze duration individually per group (Preferences > Chat > Chat Windows > Set group) When enabled, snoozing a group chat will open a dialogue asking for the snooze duration. As the default value is taken from Preferences, you can simply confirm the dialogue if you don’t want to set an individual value. You can now opt to block / reject all group invites, without the need to enable Unavailable mode via Comm > Online Status > Reject all group invites. The the group snooze button now correctly starts the snooze timer when the button is clicked. Loading icon – Script is compiling. Green – Script is running. An option has been added to route llOwnerSay messages to the script debug window instead of local chat. This operates on a per account setting and is enabled via Preferences > Chat > Visuals > Route llOwnerSay to script debug window or Script editor preferences > Advanced Options > Route llOwnerSay to script debug window. The Firestorm Preprocessor can now also be disabled on a per-script basis using the “//fsprecompiler off” marker. There is no RLV/a update with this release; Firestorm 4.7.3 is still using RLVa-1.4.10a, API version number 2.8.0. However, there are a range of fixes and improvements – please refer to the release notes for details. This is another huge release from the Firestorm team, and while I’ve attempted to highlight the updates people are most likely going to be interested in, do please run through the release notes to see everything that has changed since the 4.7.1 beta. I’ve been using Firestorm 4.7.3 since it first reached beta, and through the preview programme and found it to be very reliable and stable overall, and completely fixes the attachment issues so frequently encountered during region crossings. I’ve not used all of the features (by far) in anger, but I have found that things like Avatar Shadows work well, and that the Lab side improvements have given me a small boost in overall performance. All in all, excellent stuff from the Firestorm team! It’s not really much to do with Firestorm, but people do make some horribly complicated meshes, and that leads to lag. I was at a very crowded event, using a Mesh-dependent avatar that had a render weight below 7000 I also have a pair of mesh sunglasses that will increase my render weight by more than 6000. The problem with this performance upgrade is that other people have to use it. There is a trade-off here, and some people seem to hate the idea that they are creating content for a game. That may even afflict Viewer development. Your observations on mesh content are well made – and thank you for pointing out that the problem isn’t really down to Firestorm, as others elsewhere have recently sttempted imply – or with any other TPV for that matter. 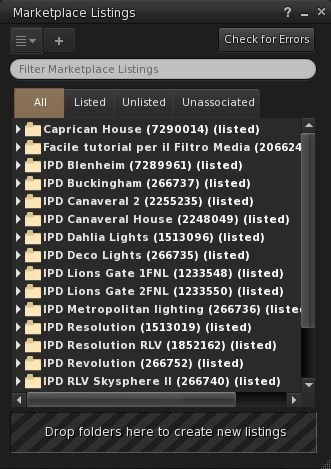 Indeed, if “fault” were to be placed anywhere within the viewer community, it would technically have to be with Linden Lab for making RenderVolumeLOD a user-adjustable setting. But even that would be wholly unjustified. The problem with a lot of mesh content is precisely the reason you state: it can be very poorly optimised or perhaps even uoptimised as a result of the creator’s lack of understanding in the creation process, or (worse) the creator simply opting for things like the highest LOD settings simply because they can, with nary a thought on the potential wider performance hits. Where worn mesh is concerned (which I think it fair to say bears the brunt of this problem, as there isn’t even a basic need to optimise it in order to avoid horrifyingly big LI impacts, as with mesh that is physically placed in-world), it’s going to be interesting to see what happens when the forthcoming Avatar Complexity updates appear in the official viewer and TPVs and making their presence felt. Today we got the newest Firestorm Version. This time I waited for it as I was really annoyed by loosing attachments when teleporting. This should be fixed now (thanks!!). There are more features and I reblog Inara’s post about it for you all to read (and update). I read another blog that stated that Firestorms latest “update” will not function on Mac. Nalates’ the statement is partially incorrect. With this update, Firestorm (as with all viewer build using the new viewer build tools) will not run on Windows XP or on versions of Apple’s OSX older than 10.7. If you are using OSX 10.7 or later, Firestorm (and any other viewer built using the new tool set) will install and run just fine. Your best bet is to contact Firestorm support in-world (e.g. via the Firestorm Support Group), if you haven’t already done so. I’m afraid I’m not a member of the Firestorm team (and not a Mac users), so I’m unable to provide the levels of assistance they can. 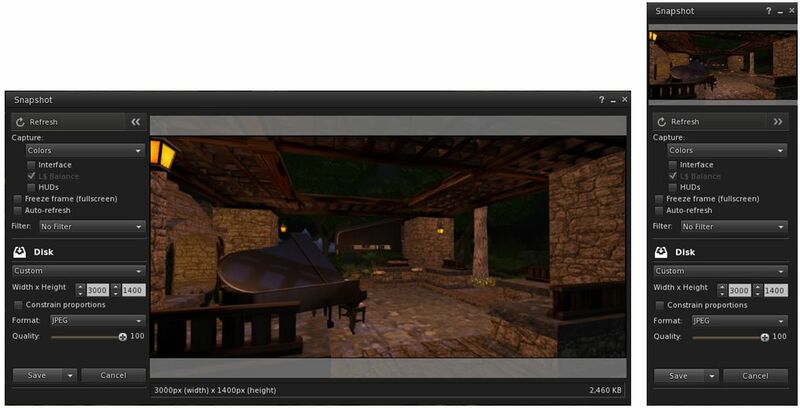 I loaded the new Viewer and found that it took MINUTES for things to Rez and most objects were greyed out. I went to a Firestorm Class session and in talking to the instructor found out that with this new Viewer, if you have Webroot as an anti-virus, Webroot scans EVERY texture before loading and many people have also complained about this bug. I reinstalled the last version and things are fine again, so beware…if you use Webroot, this new Viewer will not work well. Yup… I’ve just been hearing about the Webroot AV software and will be posting an note on the issues. No more french language to select? Sounds nice, but how do you change that option? I’ve got “Disk” and that’s it. No other options, such as “inventory” available.